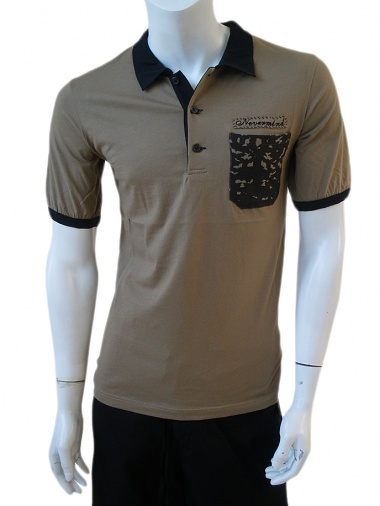 Polo 3 buttons in cotton and modal short sleeves. Neck list and contrasting cuffs. Patch pocket on the contrary. Ribbon embroidered above the pocket stitched all around. Tight fit, length hips.